Posted October 29, 2015 by GardenBusters & filed under Garden Maintenance. The colours of autumn leaves are very beautiful and many artists use these colours as an inspiration to create paintings, photographs or even songs. However, these leaves will reach the ground sooner or later and for keen gardeners, they can soon start to become a problem. 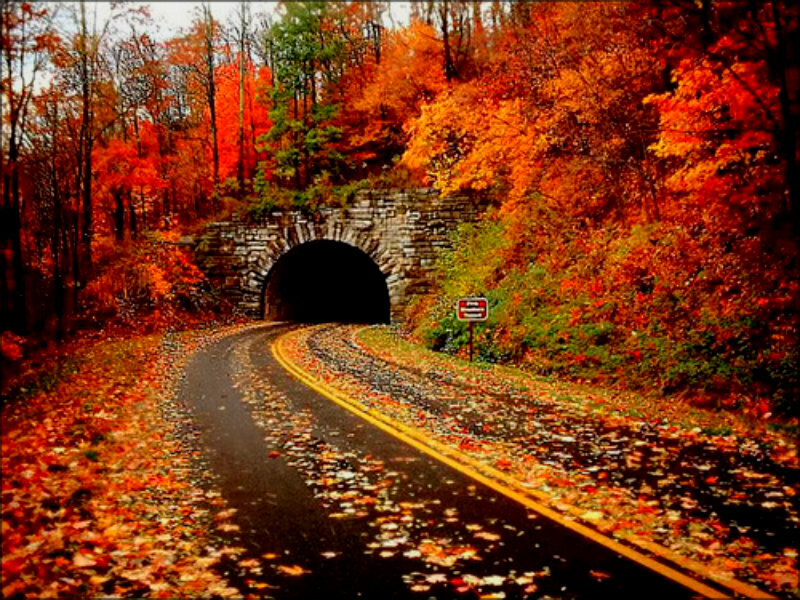 This is the time when people usually start gathering the leaves and try to get rid of them as soon as possible. However, only a small percentage of homeowners are aware of the fact that these autumn leaves can be used more effectively than simply throwing away. Autumn leaves are an ideal addition to the compost heap. They won’t break down very fast, but you can speed up this process by covering the leaves with an old carpet for increased heat and by spreading the leaves in a wider area. You can also cut them in smaller pieces. 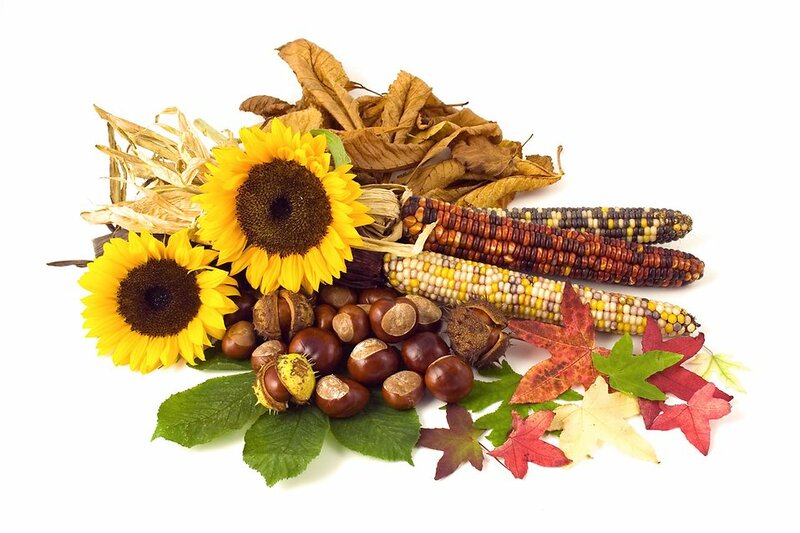 Autumn leaves are great garden compost that can be used in spring. In case you have some winter plants in your garden (winter cabbage, kale etc.) you can shred these leaves and place them in the form of a layer around them. As they slowly break down they will bring the necessary nutrients in the soil and make your winter plants stronger. In case you didn’t know, a leaf mould is a special material that consists of rotting leaves that is placed on top of a soil that is very dense and difficult for the plants to grow on. A leaf mould will soften the soil and make it more fertile. If you are not a big fan of raking, you can always use your lawnmower. In this way you will practically mow the autumn leaves in the lawn and improve the quality of soil. For more gardening advice, please contact Garden Busters now. Posted October 13, 2015 by GardenBusters & filed under Latest News. Weeds can be quite the obstacles in the garden, So here is the simple infographic that explain top 8 techniques for ridding your garden of these unwanted plants. Take a look! How To Get Your Garden Ready For Autumn? Posted October 3, 2015 by GardenBusters & filed under Garden Maintenance. Autumn is just as important for your garden as any other season, and we have provided a few vital tips you can use to get your garden ready. 1 Plants that don’t like the season should be moved indoors. To keep your plants looking fresh and so they can last through the harsher months, consider moving them indoors. Winter comes pretty quickly, so it will give you plenty of time to protect your plants before the colder months come. For plants that can’t be moved indoors, wrap them in season-proofed materials and prop up stems with sticks so they are as protected as they can be from wind, rain, and snow. 3 Preen, prune, and bin! Clean up your garden and dead-head your plants. Collect any seeds and harvest any fruits or vegetables. Trim any hedges and trees you might have – especially if you live somewhere known for heavy snow, as this will make it easier for you once bad weather hits. Harvesting and trimming your plants allows them to flourish in the winter months, giving you a beautiful garden even in colder weather. 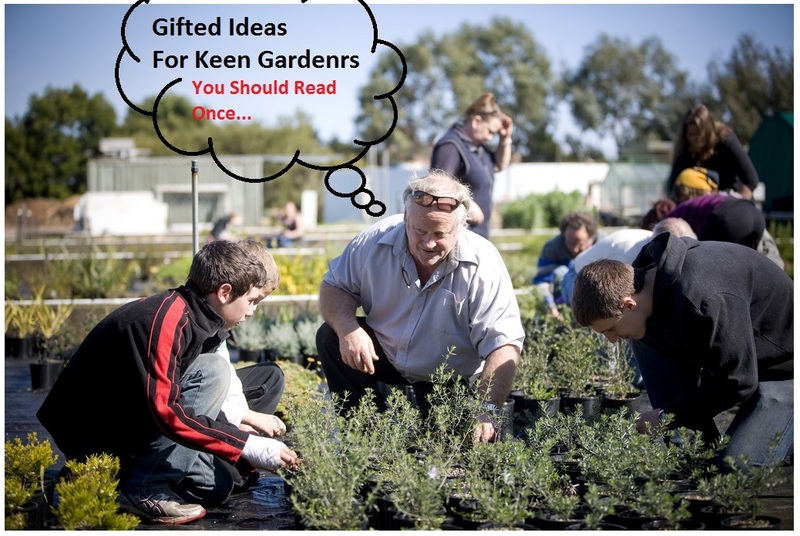 Autumn is the time to plant your spring collection! Get sowing and look forward to when the first buds start to grow in the New Year. Phew, all that work deserves one last look at your flowering plants on a mild day. Grab your camera and take some photos for before and after pictures! For all your garden maintenance needs, please contact us now. Posted August 28, 2015 by GardenBusters & filed under Garden Maintenance. Usage of weed killers may be very effective if used at the right time of the year. To make weed killers more effective, you need to use them when the weather conditions are stable. Usually, the time period between March and September is ideal for using weed killer. 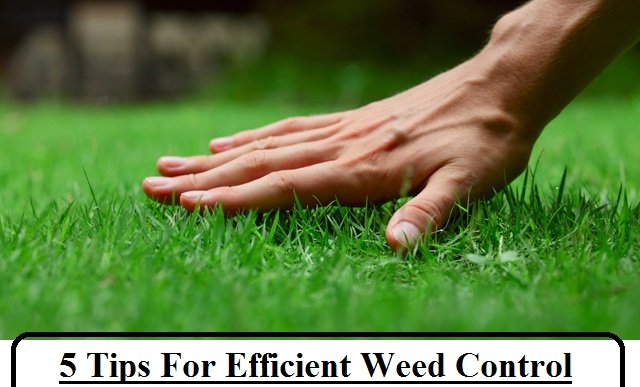 One reason being that the weeds have increased on the surface area and will absorb the spray and the second being that the spray will not drift away and affect the other plants. After replanting an area when you have cleared the weeds, apply more of the weed killer to the soil in an appropriate amount so that it mixes with the soil and stops further re-growth of the weeds. But make sure that the amount of weed killer used is limited so as not to make the soil completely infertile. If there are climber weeds in your garden, gently unwind them and spray a weed killer like Glyphosate to the affected areas in proper proportions without causing harm to other plants. Make sure you mix and add the proportions of weed killers according to the area you want to use it on. Use hand sprayers if the area is small and concentrated formulas to apply to larger areas. To get the best results, use the weed killer when the soil is moist so that it absorbs the weed killer to the maximum extent providing your garden a long lasting treatment. For more advice about weed control, please contact Garden Busters now. Posted July 29, 2015 by GardenBusters & filed under Garden Maintenance. Keep Mowing – ideally you should be cutting your grass at least once a week during the summer months. Mowing little and often is better than letting it grow for a few weeks and then hacking it down all in one go. If you can, spread your grass clippings over your compost heap in shallow layers. If you dump it all on top in a huge mound then it could turn slimy and ruin the compost underneath. Watering – you can always expect quite a bit of rain during the British summer but if we get prolonged periods of sunny days it doesn’t mean that your garden has stored up all the previous rain. Keeping your garden watered is essential during the summer. You should give your garden a good soaking at least once or twice a week and this will draw the plant roots deeper into the nutritious soil. If you’ve got hanging baskets and containers these will need watering at least once a day and if it’s hot and windy, we recommend watering them twice a day. If you have a newly laid lawn then we recommend watering it every evening to allow it to flourish. Dealing With Pests – the warmer weather will also bring out the pests. Greenfly and blackfly love the warmer weather and these can be very damaging for your plants. Keep a look out for insect infestations on your plants and ask your local garden centre about the best products to buy in order to eradicate them. Protecting Your Produce – if you grow your own fruit and vegetables then you need to keep a close eye on them during the summer months. We recommend that you water regularly and keep picking. If you are growing vegetables in a greenhouse then remember that your greenhouse can get extremely hot in the summer so it makes sense to keep your vegetables shaded on especially hot days. It’s also a good idea to spray the floor of your greenhouse with water in the morning and this will create a humid atmosphere that your vegetables will thrive in. Avoid watering the floor at night because this could attract pests and cause disease. Feed The Birds – lots of people forget the birds during the summer because they think there’s enough food around for them anyway. If the ground hardens due to prolonged hot weather then birds will actually find it difficult to find food so if you supply some bird feed it will help them. Attracting birds to your garden will also help to keep insect pests down. 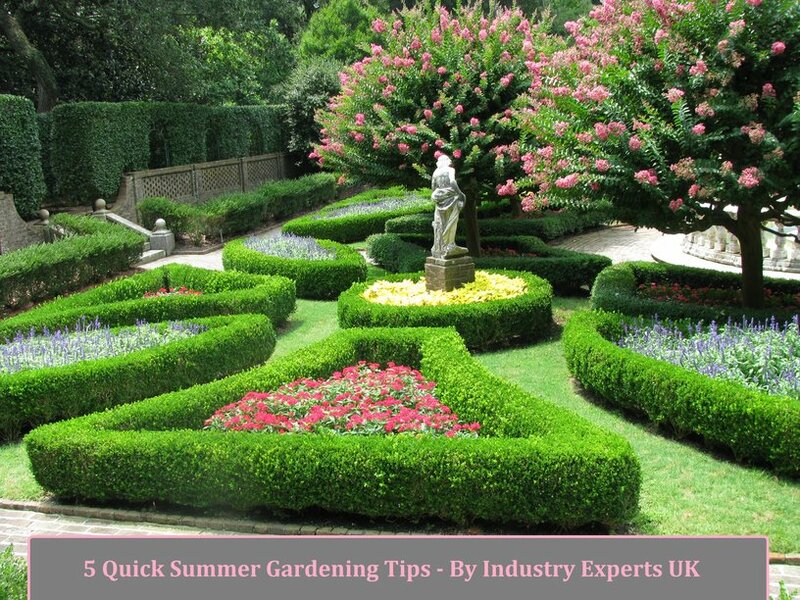 Follow the above tips and your garden will thrive this summer. For more gardening advice and to arrange regular garden maintenance please Contact Garden Busters now. Posted July 3, 2015 by admin & filed under Garden Maintenance. Perennial plants are great for adding colour and seasonal interest to your garden. Blooming from April to November they will often attract bees and butterflies and also make great cut flowers too. You can use perennials as fillers between shrubs, grow them in containers or plant them to create a beautiful herbaceous border. Herbaceous perennials will return every year and as they mature, they will grow larger, bringing you pleasure for many years to come. Lavender – highly fragrant, lavender will attract many bees and butterflies to your garden. They are great for planting in light, sandy soils or growing in patio containers. They will add a great splash of colour to your borders and you can take cuttings for indoor use as well. Rudbeckia – these popular perennials will give you long-lasting flowers similar to daisies which will brighten up your garden in late summer and early autumn. 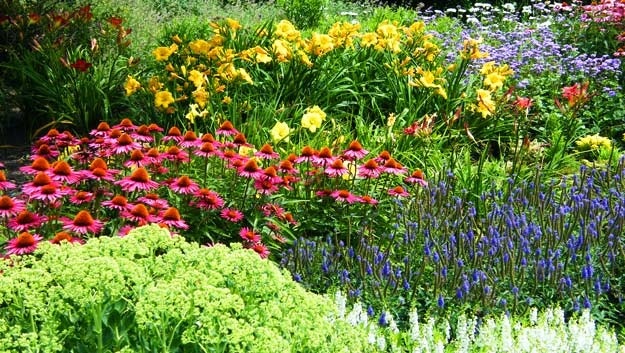 They fit in nicely with other perennials and will grow perfectly in heavy clay soils. They work well as a cut flower too. Geranium – these versatile perennials will grow just about anywhere. Ideal for shaded areas of the garden, geraniums are low maintenance and will provide colour throughout the summer. Geraniums can be used as ground cover or to fill gaps in your borders. Sedum – perfect for late summer and autumn colour. Sedums are tolerant of poor soils, easy to grow and ideal for planting at the front of herbaceous borders. Salvia Nemorosa – this produces beautiful purple flowers and will grow in abundance throughout summer and into autumn. They work well with mixed borders or grown with grasses and are highly attractive to bees and butterflies. If you’re looking for low garden maintenance planting that will give you pleasure every year, then our top 5 perennials will keep you happy. For more gardening advice please contact Gardenbusters. Posted June 3, 2015 by admin & filed under Garden Maintenance. Summer is just about here so it’s time to start doing all those summer jobs in the garden that you’ve been putting off. Make sure your lawn gets its regular cutting and TLC. Cut the grass using the lowest height on the lawnmower setting and during dry spells, give your lawn a good soak. Jobs for later in summer will include deadheading and regular feeding of roses, removing diseased leaves, taking cuttings of shrubs and the sowing of hardy annual seeds in pots for autumn planting. 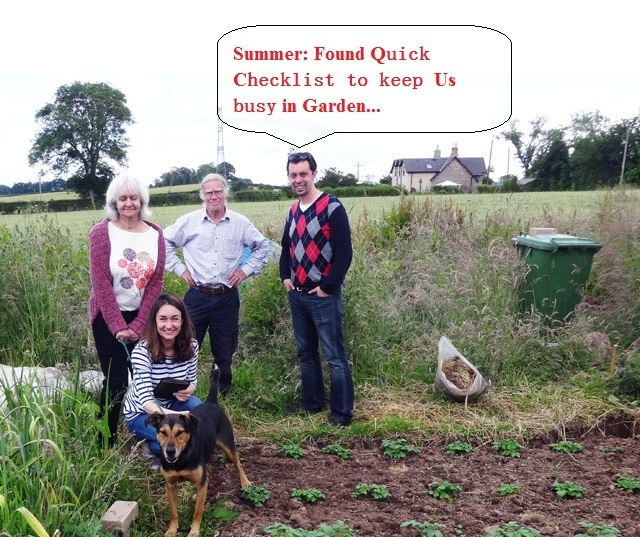 There’s always plenty to do in the garden for summer so if you need a helping hand, please give Gardenbusters a call. Posted April 30, 2015 by admin & filed under Garden Maintenance. Grass never actually stops growing; it just slows down considerably during the winter months. When the temperature goes below 5 degrees Celsius, grass hardly grows at all. However, during the warm wet conditions of months like April, May and June, grass (seeding) grows very quickly. 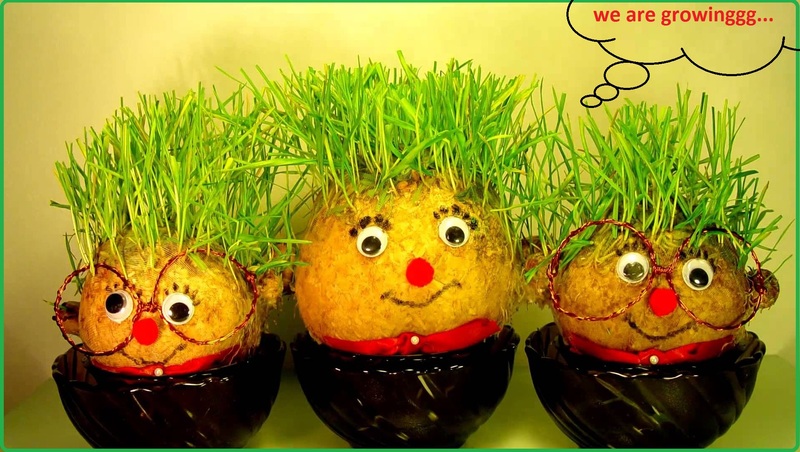 How quickly the grass grows can depend on a number of factors and is largely dependent upon the climate you live in and the type of soil you have got. In general, locations that experience mild temperatures that have deep rich soils will be the most productive when it comes to grass growth. Soils that are high in fertility produce lush crops of grass and this can either be naturally occurring or by applying fertiliser. The question of when you should stop mowing the grass is a question of the weather and ground conditions. The lawn’s growth pattern naturally slows as soil and air temperatures reduce. Reflective heat from building and localised sheltered microclimates will also aid grass growth. It is generally good practice to mow your lawn little and often during the autumn and winter months to keep your lawn in good condition. We hope that you like this short blog post of Grass Growing Cycles. For more information you can contact us (Garden Busters) at 08000 35 1133. Posted March 21, 2015 by admin & filed under Garden Maintenance. Grass Cuttings – If you don’t want to leave these on the lawn where they ultimately disappear and feed the grass then mix them into a leaf mould heap or use them as a soil mulch. Autumn Leaves – You can simply add these to your compost heap or make a leaf mould. To make a leaf mould you can either stuff wet leaves into a loosely tied plastic sack or an open wire mesh container and leave for a year or two. It will then be ready to use as an excellent soil amendment. Perennial Weeds – These can be mixed with Grass Cuttings and left in a plastic sack for a couple of months until the weeds have disintegrated. Weeds are rich in plant foods so once they have dissolved into your grass cuttings you can add them to your compost heap. Hedge Clippings/Prunings – These can be chopped or shredded and mixed with and added to compost heaps or composted separately. If you compost them separately then over time it will turn into excellent coarse mulch for your perennial beds. Paper – Newspaper, cardboard, paper towels and other paper items which may have become stained with food scraps and are not suitable for recycling can actually be composted. This is an environmentally-friendly approach to composting. Animal Manure – Horse, cattle and poultry manure mixed with wood shavings is good for composting. Animal droppings from small pets such as hamsters and guinea pigs also make good composting materials. Composting takes patience and adequate garden space to do well but if you are diligent about creating compost and follow some of the above tips then your garden will thrive for years to come. Anybody can call themselves a tree surgeon and if you pick up your local newspaper you will more than likely see an advert for somebody offering to top and lop your trees – which is always a bad sign! What kind of qualifications do they have? It is imperative that they have NPTC certificates for chainsaw use and any bona fide tree surgeon should be able to prove this to you. What insurance do they have? The recommended insurance is £5 million Employers and Public Liability cover so make sure that they are covered to do your job. Do they work to a recognised standard? They should be working to British Standard 3998:2010. 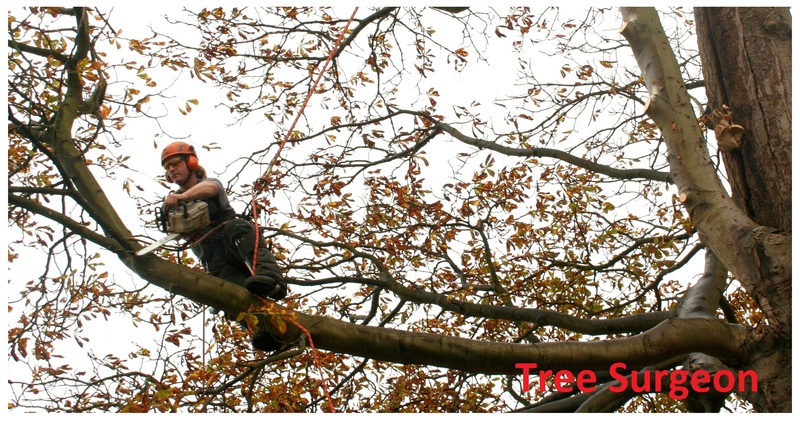 This is important if they are working on a protected tree and failure to comply with this standard could result in the prosecution of the tree surgeon or tree owner. A good tree surgeon should always remove the debris after a job so make sure that they do this. A good tree surgeon will know if you require planning permission for the tree work so if you are unsure, then ask. We would always advise you to get a written quotation for the job and if they are unwilling to do this then it’s a tell-tale sign that they are not proper tree surgeons. At Gardenbusters we have a team of highly trained and experienced tree surgeons who can help you with all aspects of tree work. For help and assistance please call us now.